All adult fiction I'm afraid, but still a great love of mine reading wise. I've read a few of Katie Fforde books in the past and they never seem to disappoint. Very light and easy to read, and always have a happy ending. Jodi Picoult on the other hand is an author that I've never read but have heard incredible things about, so hopefully a new favourite author for me. Fingers crossed. Great IMM! 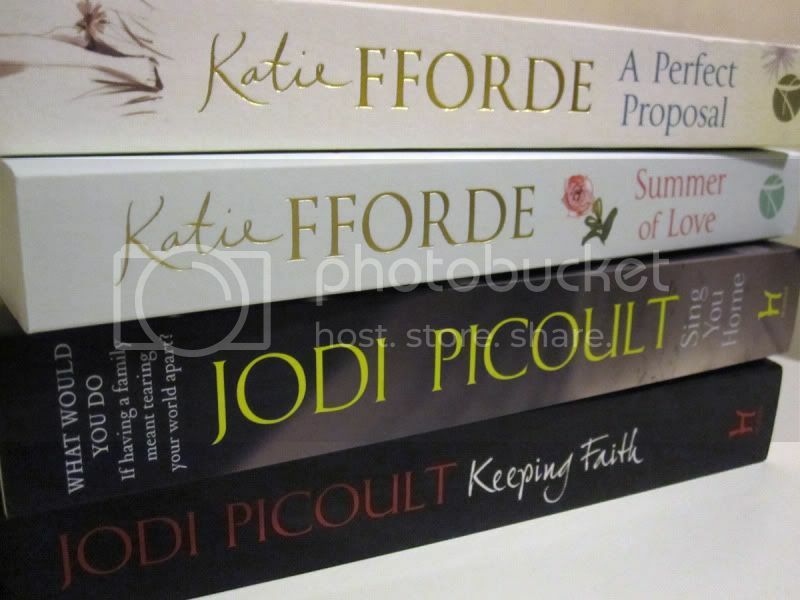 Looking forward to a review of those Katie Fforde books. They look good. I love finding deals! Enjoy your books. I'm debating whether or not I want to read Sing You Home, so I look forward to hearing what you think of it. Happy reading! I'll add it to my April TBR pile and let you know what I think. I'm very curious to find out if I enjoy Jodi Picoult's writing style so be sure to check back. Thank you! Great set! I should read more of Jodi's books. I liked the one I read. Enjoy!